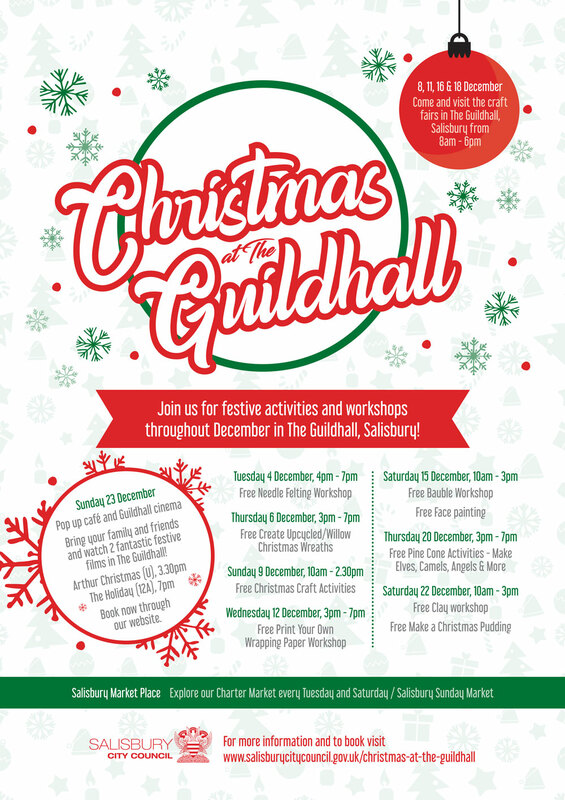 Join us for festive activities and workshops throughout December in The Guildhall, Salisbury! Make elves, camels, angels and more with pine cones for FREE on 20 December! Join in the FREE clay workshop in The Guildhall. Drop in session, no booking required. Make a tasty Christmas pudding at this FREE workshop.Drop in session, no booking required. Salisbury City Council will be hosting a pop-up cinema set in the historic building of the Guildhall on Sunday 23rd December. After a busy festive period, why not sit back, relax and enjoy a family festive film with a showing of ‘Arthur Christmas’ or 'The Holiday'.